Fort Worth — sometimes deemed “The Most Texan City in Texas” — began as a small outpost on the North Texas frontier. The city’s namesake is William Jenkins Worth. Worth was an American officer serving in the War of 1812. A treaty between several tribes of Native Americans and the Republic of Texas was enacted in 1843 at Bird’s Fort in what is now the city of Euless, TX. The treaty articulated that no individual may “pass the line of trading houses” which were located on the edge of the Native Americans’ territory, without express permission from the President of Texas. It also stated that Texans might not settle or live in the Native Americans’ territory. These “trading houses” were the bridge between cultures and were located at the merging of the Clear Fork and West Fort of the Trinity River. These trading houses are where Fort Worth was later built by the US Army. The War Department built the fort in 1849, naming it Fort Worth. 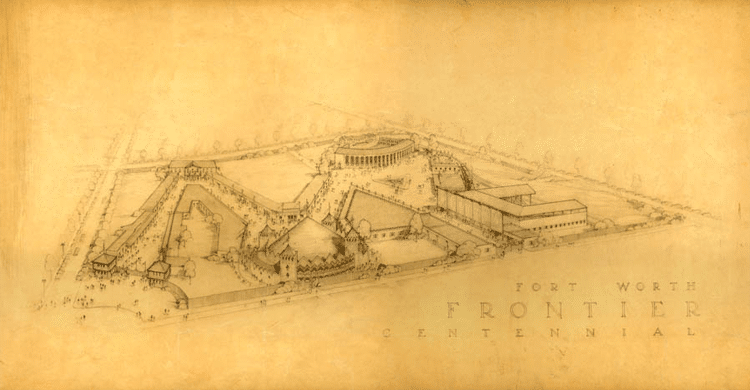 The Fort was the northernmost of a series of forts designed to protect the frontier at the end of the Mexican-American War. Fort Worth became famous as a leader in the cattle industry. This industry produced an economic boom and provided the city the nickname of “Cowtown.” The city was a rest stop for cowboys driving cattle to the Midwest markets along the famed Chisolm Trail. Hell's Half Acre, a row of saloons, brothels, and gambling establishments was the largest grouping of such establishments south of Dodge City. Today, Fort Worth Texas has a population of 800,000+ people and is the 16th largest city in the United States. It is also part of one of the fastest growing metropolitan areas in the country, the Dallas – Fort Worth Metroplex (or DFW for short.) This modern city keeps its charm along with its cattle and oil heritage while simultaneously being home to new businesses, technology, corporations, and industry. Fort Worth city limits cover 350 sq. miles including Tarrant County, of which it is the county seat, also Denton, Parker and Wise County. It became the Tarrant County seat in 1860 when it moved from nearby Birdville. 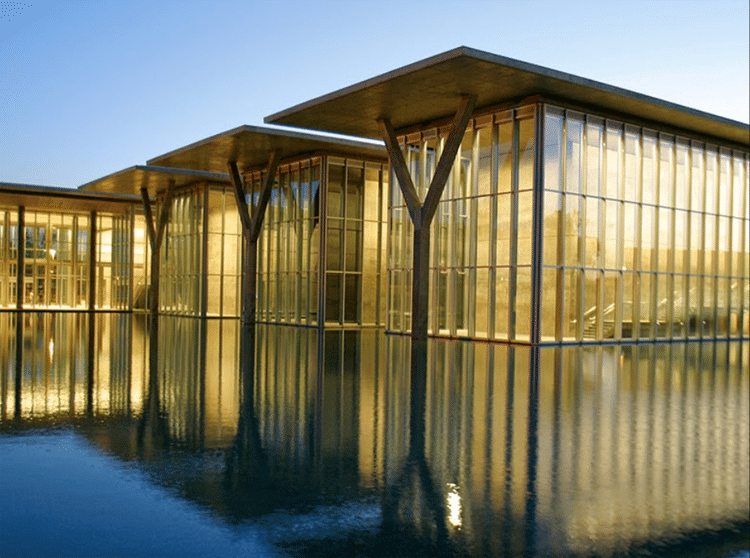 Fort Worth offers a vibrant cultural scene including world-class museums like the Kimball Art Museum, the Modern Art Museum of Fort Worth, and the Amon Carter Museum. The most famous American piano completion, the Van Cliburn International Piano Competition, is help in Fort Worth. The Bass Hall is a draw for both classical and popular music concerts. Outdoor features include an internationally-recognized Fort Worth Zoo and the Fort Worth Botanical Gardens. The City’s downtown has been named a Top 10 Downtown by livability.com. Located in downtown is the Sundance Square, a bustling area of shops and restaurants with ample outdoor areas for relaxing and taking in the nightlife. 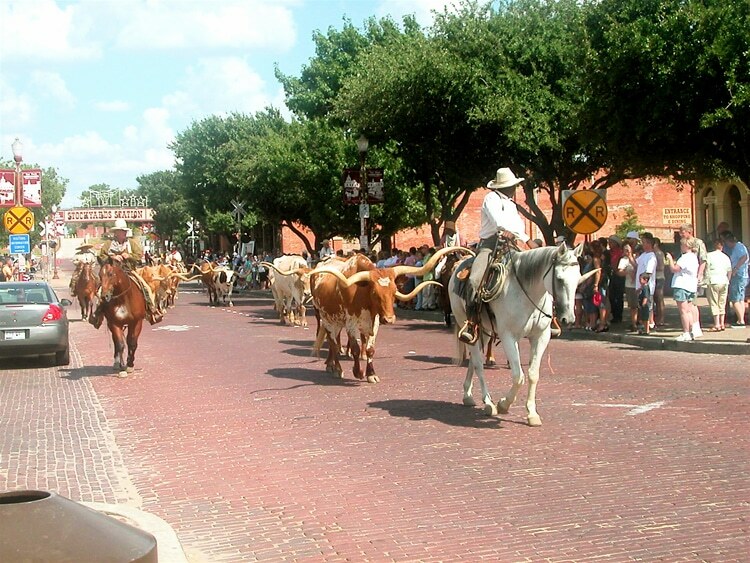 One of the largest tourist attractions is the historic Fort Worth Stockyards. Preserving the cattle heritage of the Old West, visitors can see a daily cattle drive through the streets, much like they would have occurred in the late 1800’s. Tourism boosts the local economy. The Fort Worth Convention and Visitors Bureau, estimates there are 8.7 million annual visitors to Fort Worth. These visitors spend $1.2 billion in the city and even more in the surrounding areas. The Fort Worth Independent School District is the fifth largest school district in Texas and features 14 high-schools including: Amon Carter Riverside High School, Arlington Heights High School, Benbrook Middle-High School, Diamond Hill-Jarvis High School, Paul Laurence Dunbar High School, Eastern Hills High School, North Side High School, R. L. Paschal High School, Polytechnic High School, South Hills High School, Southwest High School, Western Hills High School, O. D. Wyatt High School, Green B. Trimble Technical High School, as well as 4 Gold Seal Schools. The city features many preeminent colleges and universities including TCU, Texas Wesleyan, TAMU School of Law, and the University of North Texas Health Science Center. The city also is home to Tarrant County Community College. The economy of Fort Worth, TX is centered around Mining, Quarrying, Oil, Gas Extraction; Transportation & Warehousing; and Manufacturing. Major employers are American Airlines, Lockheed Martin Tactical Aircraft Systems, Bell Helicopter Textron, SABRE, Pier 1 Imports, and Burlington Northern Santa Fe. Radio Shack previous headquartered in Forth Worth before facing bankruptcy. The Oil and Gas industry is strongly represented by leaders such as Ulterra Drilling Technologies (a Moon & Owl client) and other energy sector companies. The city has seen a recent growth in employment rates, which were already above the national average. A 5.29% increase in employment was seen between 2014 and 2015, for a total number of employed individuals equaling 394,364. The city offers a tapestry of neighborhoods from affordable housing areas to highly affluent sub-divisions. The cost of living in Fort Worth is low as compared to other major cities in the U.S. The Median Income is $55,888. The Median age is 32.6 years of age. Median property values are $136,700, with a homeownership rate of 56.3%. The average commute time from residence to work is 25.8 minutes. From 2000-2006, Fort Worth experienced a boom and was the fastest-growing large city in the USA. Even today, the growth in Fort Worth and the surrounding cities is well above the national average. With a thriving economy and population growth coupled with low regulatory fees and low taxes, Fort Worth is a fantastic place to start a small business or relocate a large corporation. 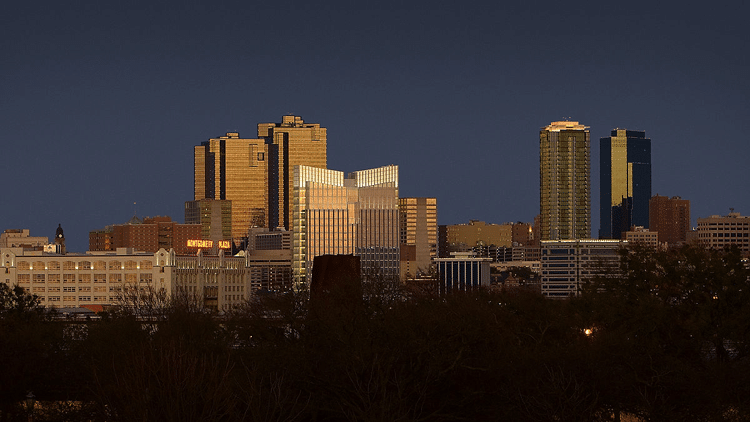 While Moon & Owl Marketing has clients across the nation, we are proud to call FW our home. Whether it’s time to update your brand, develop a new website, start an SEO campaign or Social Media campaign, increase your advertising exposure either digitally or through traditional channels, we are here to serve. We know the marketing landscape of Fort Worth forwards and backwards. We understand an honest handshake and the grit of hard work to help you reach your goals. Jordan Fowler, our founder, is proud to have called DFW home for over 40 years. As a longtime business in Tarrant County, we’ll be glad to meet with you in person for a free consultation to help discover your needs and to propose a growth solution that works for your business or organization. We have also helped numerous Fort Worth nonprofits succeed in their mission through increasing and amplifying their cause and message through effective marketing. Fort Worth, Texas is still true to its tagline: Where The West Begins.